Bournival - one goal (10); also scored in the shootout. 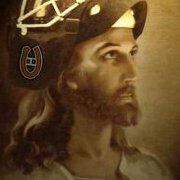 Beaulieu with a couple assists tonight. but UND loses to Boston College, 6-2 in the final of the IceBreaker Tournament. 2 goals for Brendan Gallagher tonight (4goals in 3 games).... but Vancouver loses to Medicine Hat 5-4 in a shootout. Glad you have joined us Commandant you have added some great stufD. Beaulieu with 1 goal 1 assist for the Sea Dogs in a win today. Bournival held off the scoresheet for the first time all season in a Shawinigan loss. Bournival...no goals in two games now, he's slumping! Tinordi had an assist while going +2 in a 4-1 win today over the Sault. And by that you mean I as in me. I see you've found where I've relocated. I'm spreading the love of course with the link up top. Although, the site's been slow the last couple nights, i had to go to the AHL, QMJHL, WHL, and individual NCAA team sites for the stats. No games in the Q or AHL TODAY. Gallagher plays at 4 in the WHL though. Halfway through the 2nd, Gallagher has 2 goals and 2 assists (+4) plus a pair of PIMS. Not bad considering it's a 4-0 game. The Giants added an insurance goal in the 3rd...guess who scored it? He still wound up with just a +4 rating as he was on the ice for the lone Victoria goal. Not surprisingly, he was first star of the game. 7 goals 2 assists in 4 games played. Guess he was jealous of Bournival's gaudy numbers. Hunters tell Tinordi that they want him on the ice 25-30 minutes per game, and that he needs to make sure to pick his spots for fighting this year. No more fighting against 2 minute per game goons. The injury curse even hits our prospects. Bournival out for 1 month. Hopefully he'll be back to 100% by the time WJC evaluation camp comes around. Would be a shame after such a great start. Greg Pateryn had 1 goal 2 assists. Tinordi went down with cut around eye and fight and has not returned for a full period now. May be more serious than just cut. He didn't come back. I was listening to game on the radio. Dany Kristo one assist in 3-1 win for UND. Brendan Gallagher one assist in a 3-2 Vancouver loss. Steve Quailer one assist in a 4-0 victory for Northeastern.